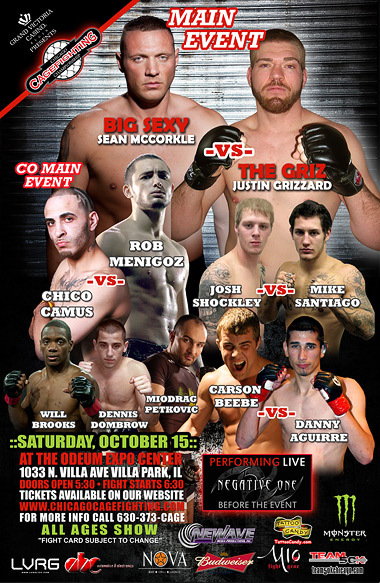 Here’s the full card for Saturday night’s Chicago Cagefighting Chmapionship IV event. The group “Negative One” will be performing before the event, which takes place at the Odeum Expo Center in Villa Park. This is an all-ages show and doors open at 5:30, with fights beginning at 6:30. For tickets and more information, visit the Chicago Cagefighting Championship website.